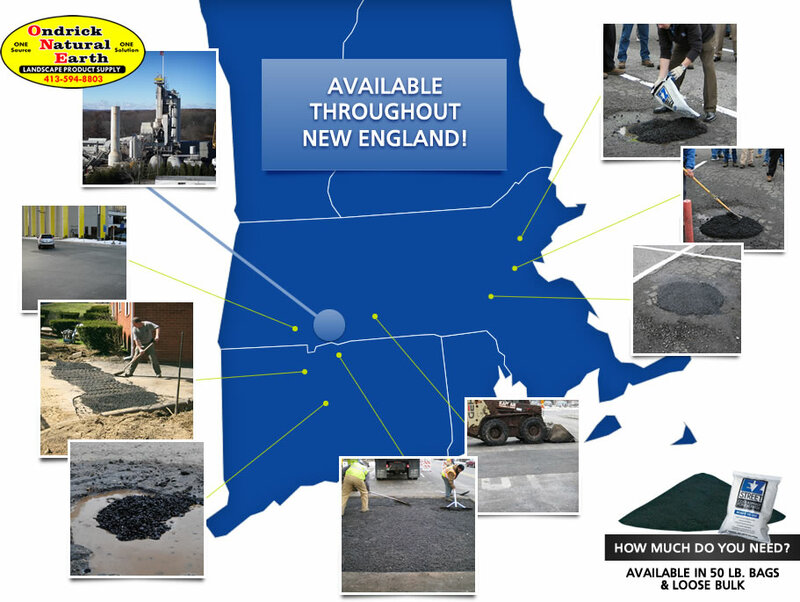 New England Asphalt Repair and New England Pothole Repair. 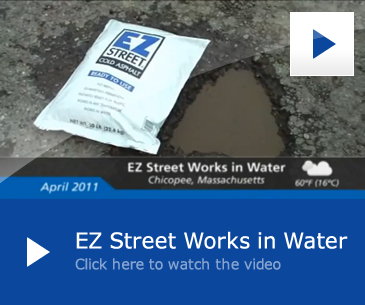 EZ Street Cold Asphalt in New England is Offering Local Contractors a Better Way to Repair Asphalt. Respond quickly and efficiently to any asphalt repair need with EZ Street cold asphalt. Stockpile bulk, or use convenient 50 lb cold asphalt bags. No more wasting un-used hot asphalt. Keep EZ Street cold asphalt stockpiled at your yard, and use only what you need, when you need it. Keep your sites safe and smooth with EZ Street cold asphalt. Anyone on the crew can do the repair, anytime! 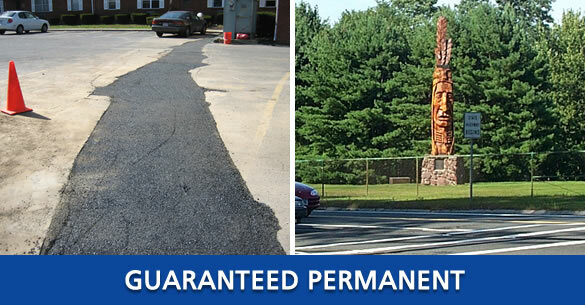 EZ Street cold asphalt makes easy work of any parking lot asphalt repair or driveway repair. EZ Street cold asphalt is available in convenient 50 lb Bags. A great home improvement solution. Patch a pothole in your driveway yourself, effortlessly.